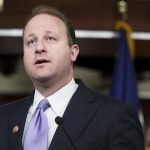 Rep. Jared Polis (D-Colo.) on Wednesday applauded passage of the Bolts Ditch Access and Use Act (H.R. 4510) out of the Committee on Natural Resources for the House of Representatives. This bill directs the U.S. Department of Agriculture to authorize special use access of Bolts Ditch for the diversion of water and maintenance by the town of Minturn. When Congress designated Holy Cross a wilderness area in 1980, legislators inadvertently left Bolts Ditch off the list of existing water facilities. The bill, if passed by Congress, would authorize special use of the Bolts Ditch headgate and the segment of the Bolts Ditch within the Holy Cross Wilderness Area, allowing Minturn to use its existing water rights to fill Bolts Lake. “This bipartisan bill finally resolves a long-term local problem that tied the hands of Minturn, Colorado and surrounding communities. It allows the Town of Minturn to use the water without compromising the sanctity of the surrounding wilderness areas,” Polis said in a press release.